If you’d like to achieve a brighter, whiter and more beautiful smile, we offer multiple options through our cosmetic dentistry services. Almost all dentists are trained to provide beautiful, completely natural looking restorations. Over the years, however, smile design has become increasingly detailed. Our dentists have learned the principles of colour, shape, size and facial structure and are trained to improve smiles by implementing several different methods. It’s now possible to replace old silver fillings with white restorations that appear completely natural. We use filling materials like glass ionomer or composite, which are designed to replicate natural tooth structure. No one will even notice that you have fillings. Do you dislike the appearance of your teeth? 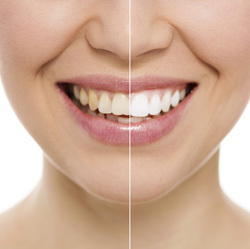 Now you can change the shape and size of your visible teeth with dental veneers. The process can be completed in two weeks and makes a dramatic difference in your smile. Porcelain veneers are thin, tooth-coloured ceramic shells that sit on top of the tooth’s surface, making them appear whiter, brighter and cleaner. Our talented dentists can change your smile by arranging badly formed teeth, restructuring broken teeth and by evening out tooth size to give you a beautiful, even smile. Traditional metal bridges are a thing of the past. 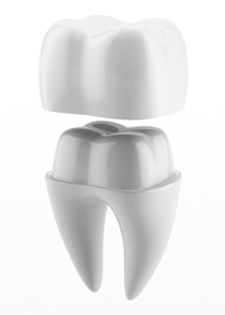 For a beautiful smile, you could invest in full ceramic crowns as they are incredibly natural looking and affordable. You can select from a range of versions to suit different areas of your mouth. We offer in-chair and home dental whitening procedures that will have your smile appearing brighter, smarter and sharper in no time. For an expert smile evaluation and consultation, get in touch with us on (02) 8677 0155 and we’ll gladly assist you with your cosmetic dental needs.